Blowout Sale! 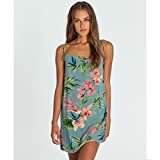 Up to 52% off on Dresses at Felicianeo. Top brands include Billabong, Rjer, MUXXN, DRESSTELLS, U.S. Polo Assn., O'Neill, General, Vera Wang, Ever-Pretty, Roxy, Joy EnvyLand, Dressystar, Belle House, RVCA, AONOUR, & YMING. Hurry! Limited time offers. Offers valid only while supplies last.